I came across this article, “Pets join in on the organic food trend” in the LA Times, July 18, 2011. This is a very informative article that has a lot of good information on this latest trend. I would like to point out some of the key points that struck me. “At Petco, a number of locations now have a wood-floored store-within-a-store for natural foods” – To me this signals a whole new market of pet owners looking for organic food for their pets. Out of 72.9 million homes, 62% of U.S. households own a pet, up from 56% in 1988 according to the American Pet Products Association. Retail pet food sales were $18.4 billion in 2010, up 2.8% from 2009. Natural Pet Food Sales were $1.5 billion in 2009, up from $689 million in 2005. Packaged Facts predicts that sales of natural foods will probably outdo overall pet food sales in the next five years. WOW!!!! John Sturm, Vice President of Petco, ” We see more people waliking into the store with printouts” Consumers are more educated about the products they purchase for their pets. 2 were deficient in potassium, magnesium and zinc. The need for testing for different metals and their content remains high and pet companies and pet owners recognize this as they try and work toward a quality product. Testing for E.coli and Salmonella also remain high to insure that pet food contamination is prevented. Pet food companies take this issue very seriously and constantly monitor production lots to insure safety for their clients. This article really shows a trend towards organic pet food. In addition, consumer awareness of issues affecting pet food and quality of pet food continues to rise as consumers become more educated on the nutritional value of their pet food. 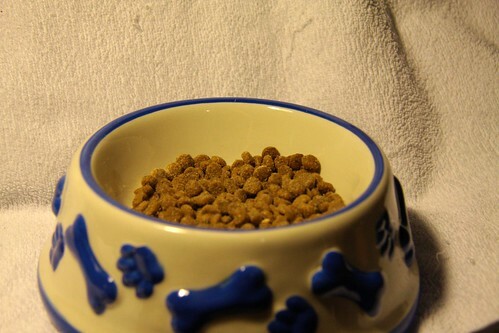 Pet Food Producers are also taking steps to create a quality, safe product and are reacting to consumer demand for an all-natural pet food product. This is a great art.